Simon Todd (Ngāi Tahu) from Christchurch is using his 2013 Fulbright New Zealand General Graduate Award to complete his PhD in Linguistics, specialising in the intersection between language variation and change, and computational methods and models, at Stanford University in Stanford, California. Simon graduated with a BA (Hons) from the University of Canterbury in 2012. What are you specialising in for your PhD? I am in my 4th year of study towards a PhD in Linguistics. My dissertation research concerns the connection between asymmetries in spoken word perception and asymmetries in rates of sound change in words of different frequencies. I am combining computational modeling, psycholinguistic experimentation, and large-scale statistical analysis of the development of the New Zealand accent to show that common words are more easily understood than uncommon words when pronounced in an unusual manner, and that this can cause common words to exhibit changes in accent faster or slower than uncommon words (depending on the circumstances). How did you come to be interested in linguistics? I decided to try Linguistics in undergrad because I was interested in language, and I soon became hooked! I was also studying Applied Mathematics at the time, and a Research Assistantship at the New Zealand Institute of Language, Brain and Behaviour (NZILBB) made me realise that I could combine the two, using computational and statistical modeling alongside experiments to study language change and evolution. I find this really exciting because we have no way of looking into the distant past or into people’s minds to directly examine how language works and changes, but triangulating with these different methods lets us nevertheless shed light on such mysteries. The only word to describe Stanford is “vibrant”, and I chose it because it seemed a great place to both study and live for 5 years. 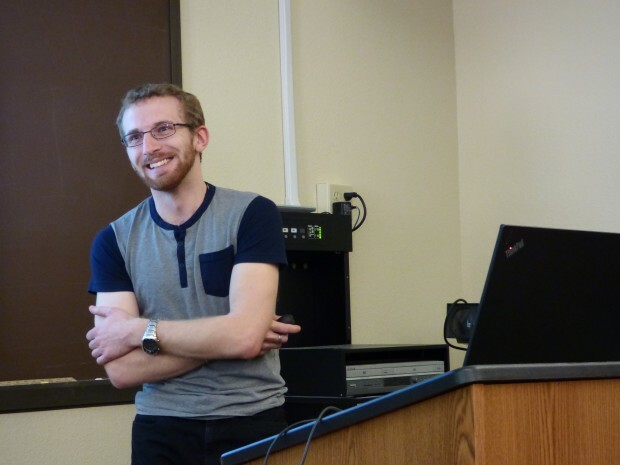 The Linguistics Department is small, so all of the students and faculty are in contact; this gives both a buzz of collaboration and a fun, supportive social environment, complete with weekly happy hour! The university is home to great resources for academic and personal life. And of course, California is beautiful, with constant blue skies, golden beaches, and forest hikes. You are back home in New Zealand for a few months in late 2016 at the University of Canterbury. What are you working on during that trip home? I’m here working on my dissertation for three months. Because it involves a case study in New Zealand English, I have been lucky enough to get my undergrad advisor at the University of Canterbury on my dissertation committee, so I’m here under her supervision. We’re working together to complete the computational modelling component of the dissertation, which emerged from my work at NZILBB several years ago. I’ll also be collecting data from historical recordings of New Zealanders born between 1850 and the 1990s — the entire history of New Zealand English — which will feed into my dissertation as well. Had you been to California before going on your Fulbright? If not, what were your first impressions? No — in fact, I had never been further than Australia! I was warned a lot about culture shock, but life in California is actually very similar to life in New Zealand; the cultural attitudes, climate, and landscape were all familiar, even if everything was on a much larger scale. On my first weekend there, I went on a bus tour to Muir Woods on the north side of San Francisco, and it felt just like I was in the hills around Canterbury. How did your undergraduate study in NZ prepare you for postgraduate in the US? 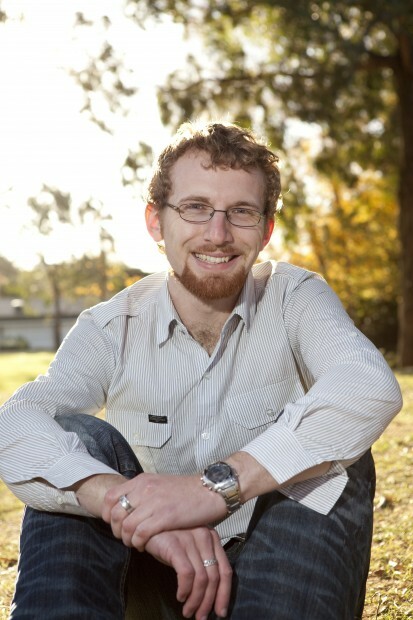 Studying both Linguistics and Mathematics gave me a firm foundation for both theory and methods that I made use of immediately in postgraduate classes, and doing an Honours degree and working at NZILBB gave me valuable research experience that let me independently and confidently pursue research from the start. What is the most challenging thing about your studies in the US? To date, the most challenging thing has been keeping up with constant deadlines and course requirements. 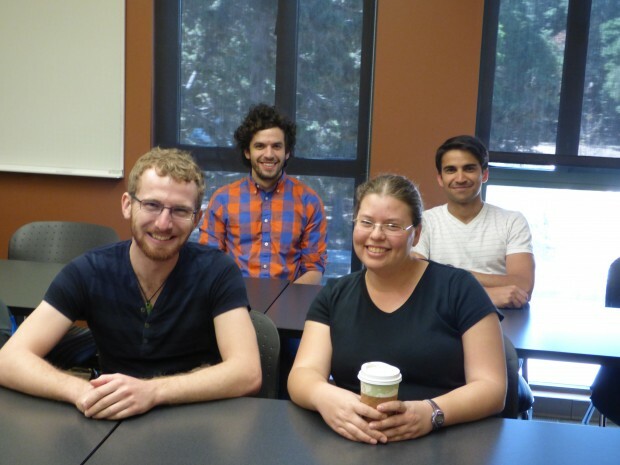 For a PhD in Linguistics at Stanford, the first 3 years are spent taking classes while completing two Qualifying Papers (mini-theses), a reading exam in a second language, and a research paper investigating a third language. This contrasts sharply with the 3-year research-only PhD in NZ! 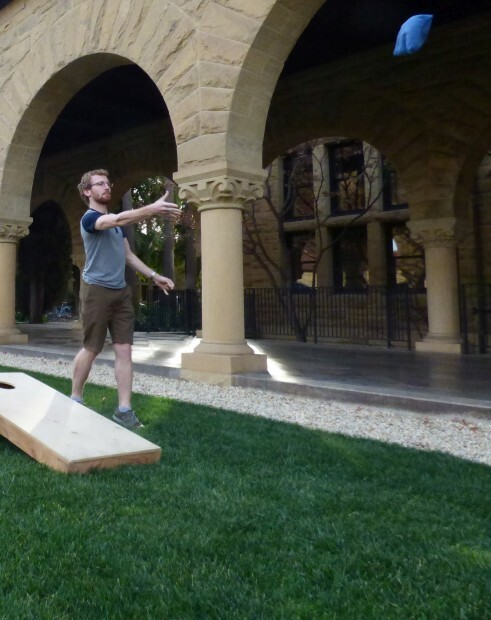 On top of that, Stanford is on the quarter system; there are three quarters, each lasting 10 weeks with no break, plus an 8-week research session over summer — quite a bit more intense than the semester model of four 6-week terms that I was used to! In the first year, I was required to take 3-4 classes per quarter, each of which had an original research project due at the end of the quarter, on top of which I was working on my first Qualifying Paper — it was only thanks to my experience with the hectic Honours schedule and research life at NZILBB that I was able to keep up with this. What is the most enjoyable thing about your studies in the US? The flipside of the hectic schedule is that I have had the opportunity to learn much more than would have been possible anywhere else, and to apply that knowledge in new and interesting ways. This chance to branch out and set a broad foundation has been really valuable. I’ve thoroughly enjoyed the opportunity to learn from, and work with, so many talented professors and fellow students, on diverse topics, with wonderful support and resources. Outside the classroom, what do you like about living in California and what was your biggest learning curve so far? I love that it’s possible to go out and enjoy nature at any time of the year. I’ve taken numerous trips to different beaches around the area, hiked through forests, and biked up and down hills. There’s also a lot to see a little further off; highlights for me include Yosemite National Park and the Grand Canyon. My biggest non-academic challenge was when I sustained a serious knee injury at Christmas of my first year and had to have reconstructive surgery. I was bed-laden for 2 weeks but was so fortunate to have caring friends who visited me constantly, even coming over in the middle of the night to change my ice. After that, I was on crutches and in a brace for 4 weeks, which made getting around campus (which is huge!) very difficult — luckily, Stanford provides a golf cart pickup service for inured students and free shuttle buses. Then I had a further 5 months of physical therapy rehab, which consisted of 3 hours of exercises, 7 days a week, and it was really challenging to get all of that in alongside my coursework. However, I prevailed, and learned that I can always count on the support of my friends, colleagues, department, and the wider university, and on my own personal drive to get through. Definitely friends and family. I keep in touch with my parents once a week on Skype, which is great, but it’s not the same as being together in person. However, I’ve been spoiled to have family visit every summer since I started, and I’ve also returned to NZ about once a year to visit myself. Thanksgiving. Stanford is very generous and gives us a whole week off for the Thanksgiving break. I usually visit family friends who live north of San Francisco. Thanksgiving is all about family and food, and I’ve been very lucky to experience the warm family environment, complete with turkey, gravy, cranberries, mashed potato, beans, biscuits (which are like scones), and pumpkin pie. It’s kind of like Christmas, just a month early and without presents. 4th of July. I went with some friends and my parents (when they were visiting) to a concert and fireworks to celebrate the 4th of July. It was a lot of fun, and really impressive to see how patriotic people were singing their national anthem and how much effort they had put into the display. Football. In my first week at Stanford, I went to a football game. It’s basically a giant party, full of food, drink, and lots of cheering. It’s just as well, because the game itself moves really slowly — gameplay is about an hour, but stretches out to about four hours due to the constant stopping. Even torrential rain couldn’t put a damper on the fun-loving spirit infusing the stadium! Yes. We have a network of 30+ New Zealanders at Stanford and we get together every year to celebrate various holidays with BBQs, such as Waitangi Day and ANZAC Day. Last year, we formalized the group into an official Stanford Student Association, which has enabled us to reach even more new students as they arrive. I’ve also been fortunate to be involved with the Native American Cultural Center at Stanford, who host indigenous visitors including Ngai Tahu every year for the First Nations Futures Program. This has given me a chance to connect with Maori culture in the US, which has been a great taste of home. I have been in touch with about half a dozen of the Fulbright NZ cohort in my first year went to Stanford, and were instrumental in establishing the NZ community there. There is also an office for the Institute of International Education in San Francisco and they put on events for Fulbrighters from all countries; I’ve been to a few of these events and met interesting people from all over the world. I’m just starting the 4th year of my PhD. I’ve now completed all the coursework requirements and am shifting focus to my dissertation. All going well, I will be graduating in a little under 2 years. Please finish this sentence: International education is important because it connects us to a world of opportunities. Fulbright New Zealand General Graduate Awards are for promising New Zealand graduate students to undertake postgraduate study or research at US institutions in any field. At least six awards valued at up to US$31,000 (plus $4,000 travel funding) are granted each year, towards one year of study or research in the US. Applications close 1 August annually.